Two 13 seeds upset 4 seeds in the 2018 NCAA tournament: Buffalo defeated Arizona, while Marshall took down Wichita State. It was the first time since 2008 that multiple 13 seeds upset 4s. Here's everything you need to know about 13 seeds vs. 4 seeds in March Madness. Twenty-eight 13 seeds have upset 4 seeds since the NCAA tournament field expanded in 1985, giving them a 28-108 record all-time. That equates to a 20.59 winning percentage. Basketball legend David Robinson was on the right side of the first 13-4 upset in 1985. Robinson's Navy Midshipmen cruised to a 78-55 victory over fourth-seeded LSU in the opening round. Of the 28 upset victories, six finished in the Sweet 16, starting with Richmond in 1988 and most recently with La Salle in 2013. Those wins in the first round were all by five points or fewer. The No. 13 seed is 6-2 in games decided by one point. Multiple 13 seeds have upset 4 seeds in four years: 1987, 2001, 2008 and 2018. No 13 seed has upset a 4 seed more than once in school history. How much more likely is a 13-4 upset than a 14-3 upset? Twenty-one 14 seeds have upset 3 seeds since 1985, giving them a 21-115 record all-time. That equates to a 15.44 win percentage. Thus, a 13-4 upset is 5.15 percent more likely to happen than a 14-3. There have been 47 12-5 upsets since 1985, meaning it's happened 19 more times than the 13-4. Therefore, it is 13.97 percent more likely to occur. One of the most memorable games in NCAA tournament history was a 13-4 upset. Valparaiso won in dramatic fashion over Ole Miss in 1998. With 2.5 seconds left in the game with a two-point deficit, the Crusaders had one final shot to tie or win. Inbounding from the opposite baseline, Jamie Sykes threw an inbounds pass to Bill Jenkins at midcourt, who tapped it to Bryce Drew, who tossed up a desperation 23-foot 3-pointer. The shot went down as time expired to send Valpo to the second round. 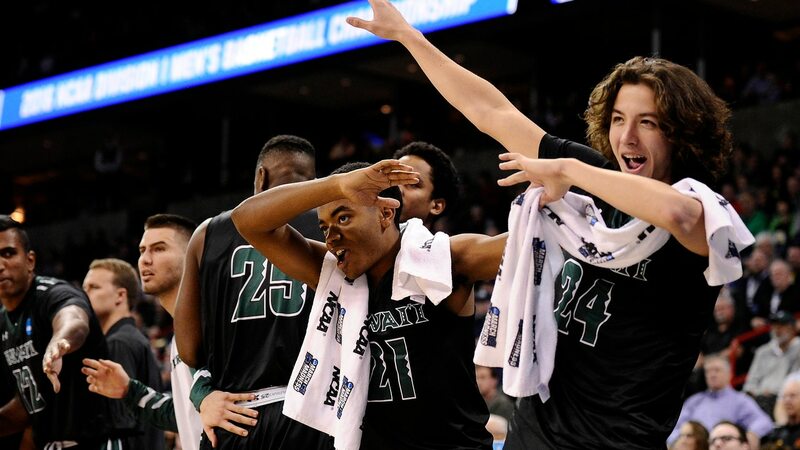 And Hawaii's first NCAA tournament win ever, which came against California in 2016.